It’s rare you find a really effective appliance for everyday use. Sometimes it takes a leap of faith to replace a brand or model you’ve grown attached to, and go for something new. However, if you’re looking for a great tool for stubborn carpet stains, this Rug Doctor Portable Spot Cleaner could be just the thing. 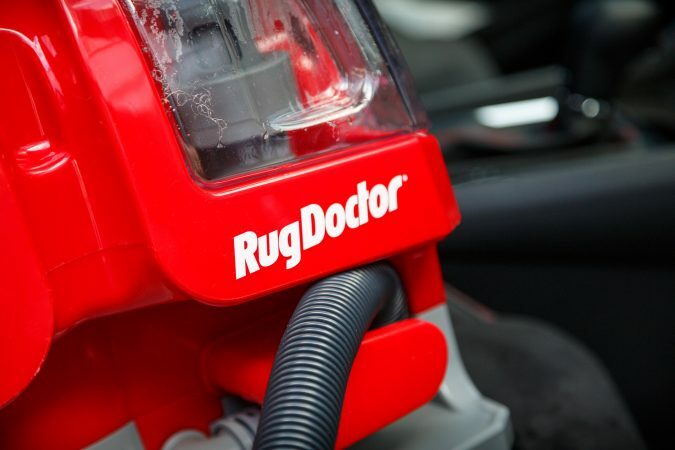 Rug Doctor’s Portable Spot Cleaner does the job you need it to. It’s a powerful, motorised hand tool – it has a lightweight design and carpet-friendly wheels for ease of use. The cleaner has also an extendable handle so you can pull it like a suitcase. The handheld brush offers double suction, and the hose will douse your carpet or fabric in water and cleaning solution. 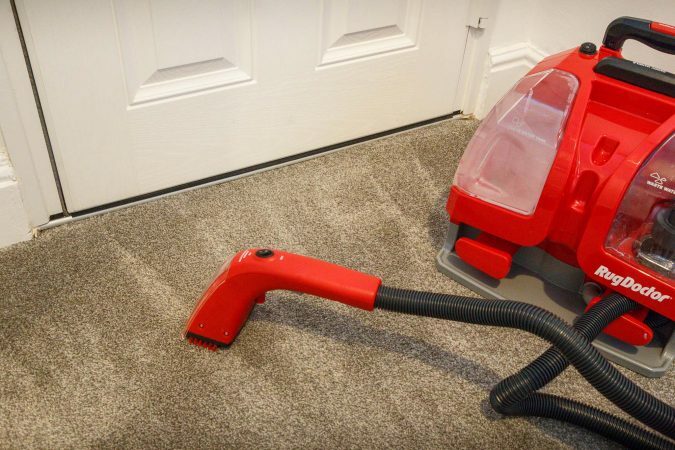 This feature scrubs deep in the carpet’s pile, leaving it feeling fresh and clean. Rug Doctor also offer an Oxy Spot Cleaner solution on their website, which is perfect for adding to the device. The benefit of the handheld component is the speed and effectiveness of stain removal. Even the deepest stains are targeted – which is useful if you’ve had a food or drink spillage in the car! The tanks are easily removable from the Rug Doctor Portable Spot Cleaner, so emptying the appliance really couldn’t be simpler. 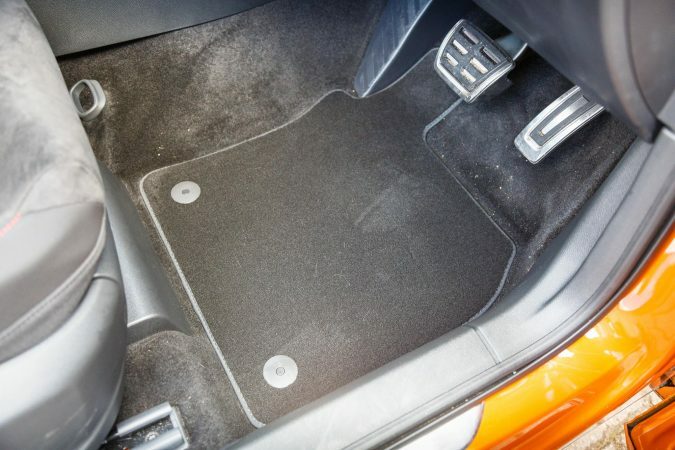 Sometimes vacuuming car mats just isn’t effective, especially if you have wool or velour mats. 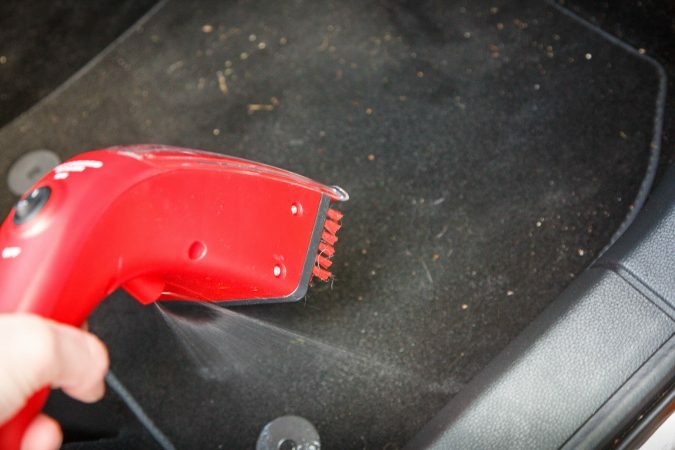 With this portable spot cleaner, you can easily clean car mats and upholstery – any spillages on fabric seats are sorted. The best part is, the cleaner is IPX4 splash-proof, so taking it outdoors to your car is a breeze. Of course, you aren’t just restricted to car cleaning. 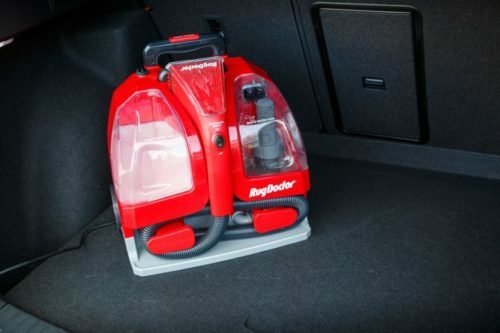 The splash-proof feature is useful for other vehicles, like boats or caravans – and of course, the spot cleaner is ideal for inside the home too! 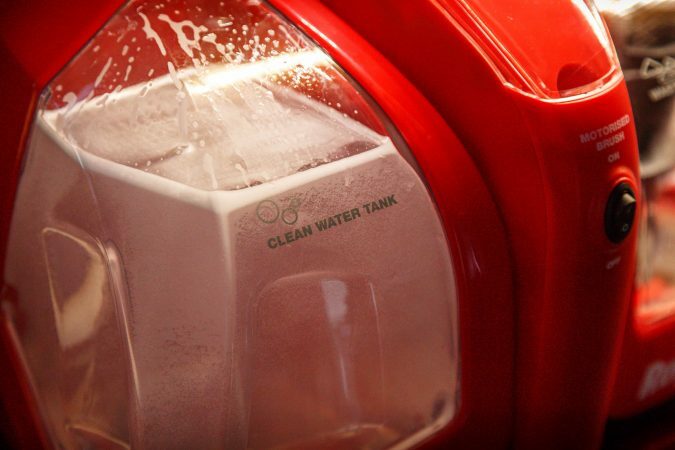 Its small size makes it ideal for families or people with pets, and it’s really easy to store. The spot cleaner is available for purchase on Rug Doctor‘s website, priced at £154.99. This might seem a bit steep, but the quality and innovation of the product is honestly worth it. The 2X suction means the Portable Spot Cleaner tackles even the hardiest of stains, and gives any fabric or carpeted surface an injection of freshness. You also get a trial size Spot Cleaner bottle (236ml) with the cleaner itself, so you can really give it a go – along with a 2 year domestic guarantee. This entry was posted in Carpet Cleaning, Stain Remover. Bookmark the permalink.